Printing technology and design trends have taken this category beyond the simple rectangular card, by using various profiles and shapes, embossing and textures. These techniques make an impressive visual impact, but can also reduce available font space. Being more web oriented then ever, space used previously for a land line number and fax number tend to be filled now by multiple social media page URLs. Needed font space has actually increased… logo or name, main website URL (or other landing page), email, Skype, social media. Plus the additional option of putting QR Codes on business cards to let customers reach websites directly from a smart phone scan, instead of typing in URLs. Domain hacks are a popular way of achieving nice looking URLs – but not always necessary. Here is an example sans domain hack: Joan Doe registers the “jdoe.co” domain and has an extremely user-friendly, personal domain that is just as simple and memorable as many of the best domain hacks. Analytics is another benefit of using short links in place of an actual URL. Each short link / QR Code is integrated with click tracking, giving precise control over every marketing channel. 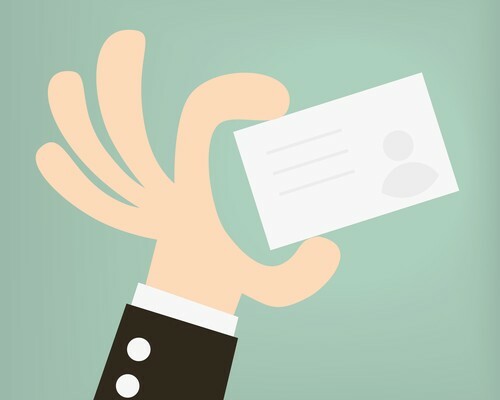 You’ll know the what, when and where of business card generated traffic and leads.